In just the past few years, wind energy has become rapidly a significant resource for many utility systems in Canada. Wind energy is now "utility scale" and is being used to augment an increasingly larger proportion of Canada's electrical demand. However, compared to some other countries that rely on wind for a much larger piece of their energy pie, such as the Netherlands, Spain, Denmark, and Germany, this segment of the Canadian electrical market is still very small. Today, rapid growth is both encouraged and expected due to various government, utility, and industry initiatives boosted by the demands of Canadians for a clean, safe, and consistent source of energy. 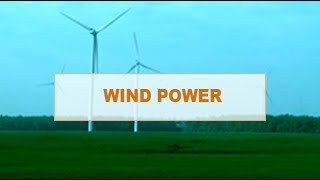 Wind is a very complex process which can be described very simply... The sun heats the earth at different rates depending on whether an area is below clouds, in direct sunlight, or covered with water. The air above the warmer areas heats up, becomes less dense, and rises. The rising air creates a low-pressure area. Cooler air from adjacent higher pressure areas moves to the low-pressure areas. This air movement is wind. Canada's large landmass, long coastline and relatively cool air mass combine to provide a wind resource of huge potential. As a result of this potential, development of Canadian wind energy has grown exponentially over the past decade. Installed wind energy capacity more than doubled in 2006 and now stands at 1,588 megawatts. It is forecasted to reach 12,000 megawatts by 2015. The author of this piece was the lead CCBDA Electrical Consultant Ronald F. Frank. He received his B.A.Sc. degree in electrical engineering from the University of British Columbia,Vancouver, in 1950. He spent 32 years with the Electric Power Division of Northern Electric/Northern Telecom, where he was responsible for the development, design, manufacture and installation of electrical equipment for the generation, transmission and utilization of electric power for the utility, industrial and commercial industry. From 1983 to 1996, he was the Chief Engineer of Pirelli Cables Canada with similar responsibilities. Mr. Frank was a registered Professional Engineer in Quebec. Ron was the Association's primary Consultant on conductors for wire and cable, connectability testing, wind power generation systems, and associated copper electrical applications.